We stock a large assortment of softback and hardback shades. 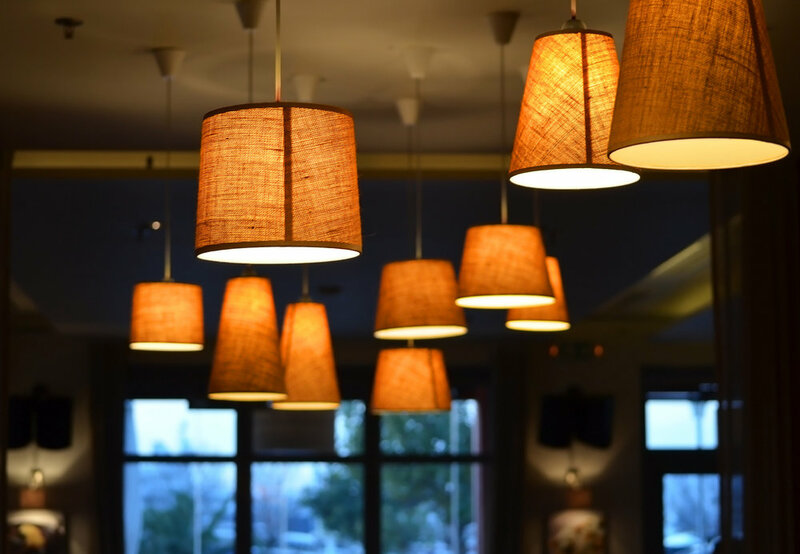 Since shade selection depends on many factors (size, color, fabric), it is almost impossible to purchase a shade without actually seeing, feeling, and trying it on your lamp. For this reason, our catalog does not show individual shades or pricing. We prefer you to do your shopping in person.